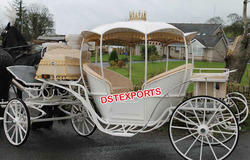 Royal Cinderella Horse Carriage with Hood--This is the latest design Cinderella carriage. This carriage is made by our highly skilled craftsman. 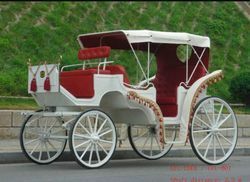 Cinderella buggy is made in very classical design with a crown on top. We provide all types of baggi rath and take the order of rath and buggi according to the cilient needs. BAGGI (CHARIOTS) - GHORI (CHATTAR)Our Best most beautifully design baggi and ghori for dulha( groom), to sit in royal style.